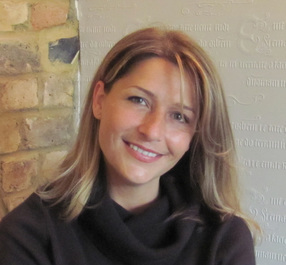 I have over 12 years experience and two practises, one in London and one in Buckinghamshire, I am a Psychotherapist, Counsellor and Supervisor, I facilitate and supervise students in training at The Centre for Counselling and Psychotherapy Education in London. Sometimes life can seem a little difficult to understand let alone navigate through! Maybe your relationship(s) are not going well, perhaps you feel a discontent somewhere deep inside yet can't quite understand it, or you may have a wound from the past that isn't healing. Psychotherapy can assist in these and many other issues life can present us. I offer Integrative and Transpersonal Psychotherapy - pulling on a variety of styles depending on the need and requirement of the client. Transpersonal Psychotherapy, respecting both mind and spirit, bridges the gap between the mind and heart, helping create a feeling of being more whole, more in touch with our needs and desires. When we know our needs we are more equipped to live a happy, content life. In order to grow we must be willing to make changes in our life, often we feel alone and without direction, Psychotherapy is a safe place to explore the different options life presents with someone who is willing to walk the path with you, in order to discover your own truth.